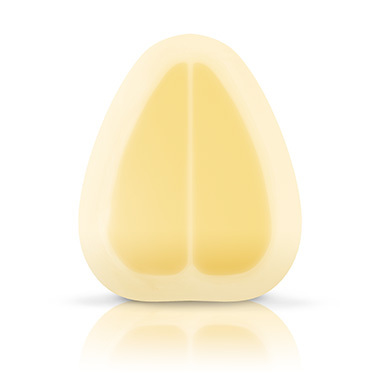 A hydrocolloid in a range of shapes and sizes for your patients. NU-DERM™ Hydrocolloid Dressings are designed to help maintain a moist wound environment. There are three variants in the range, available in a variety of shapes and sizes. All dressings are waterproof and will remain in place during showering. It is conformable, has a top layer of low-friction film, and has bevelled edges all around the product - the border itself is a continuation of the skin-friendly hydrocolloid adhesive material. It has a top layer of foam, rounded corners, and is uniform in thickness. The semi-transparent variance, which is conformable and has a top layer of low-friction film, allows close and easy monitoring of the wound bed without dressing removal. Is primarily indicated for the management of superficial dry or lightly exuding wounds. NU-DERM™ Border Hydrocolloid Wound Dressing and NU-DERM™ Standard Hydrocolloid Wound Dressing are primarily indicated for the management of lightly to moderately exuding pressure sores and leg ulcers. In vitro data shows that NU-DERM™ Hydrocolloid Dressings fluid handling capacity in a period of 48h is twice as much as DuoDERM® CGF® Sterile Dressing and DuoDERM Signal® Dressing in (NU-DERM™ Hydrocolloid Dressings 6.24g/48h, DuoDERM® Dressing 2.31, DuoDERM Signal® Dressing 2.91g/48h)1. DuoDERM is a trademark of E. R. Squibb & Sons, L.L.C. NU-DERM™ Hydrocolloid Dressings help maintain a physiologically moist wound environment conducive to wound healing. 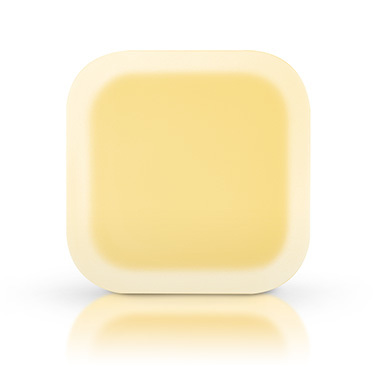 NU-DERM™ Hydrocolloid Dressings helps protect wounds against external contamination. The dressing material interacts with wound exudate to form a soft gel. Due to the matrix formulation of the hydrocolloid material, most of the gel is removed together with the dressing, resulting in little or no damage to the newly formed tissue The semi-transparent (Thin) variant is conformable and has a top layer of low-friction film, allowing close and easy monitoring of the wound bed without dressing removal. NU-DERM™ Hydrocolloid Wound Dressings consist of a wound contact layer of hydrocolloids. The top layer is either a semi-permeable polyurethane film (BORDER and THIN), or a film-coated polyurethane foam (STANDARD). NU-DERM™ Hydrocolloid Wound Dressings are sterile hydrocolloid wound dressings designed to maintain a moist wound environment. A moist wound environment supports the wound healing process by encouraging autolytic debridement, thus enabling granulation to proceed under optimum conditions. The dressing material interacts with wound exudate to form a soft gel. Due to the matrix formulation of the hydrocolloid material, most of the gel is removed together with the dressing, resulting in little or no damage to the newly formed tissue. The BORDER product is conformable, has a top layer of low-friction film, and has bevelled edges all around the product. 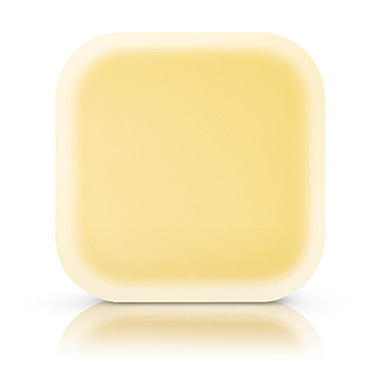 The border itself is a continuation of the skin friendly hydrocolloid adhesive material. 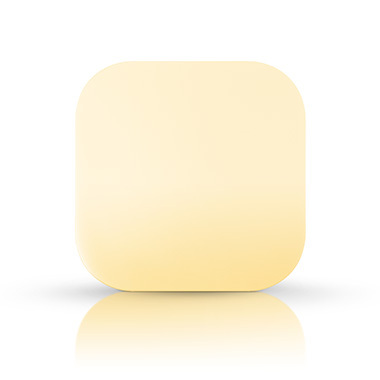 The STANDARD product has a top layer of foam and rounded corners. The semi-transparent THIN product, which is conformable and has a top layer of low-friction film, allows close and easy monitoring of the wound bed without dressing removal. The dressings are waterproof and remain in place during showering. They protect the wound against bacterial contamination. NU-DERM® Hydrocolloid Dressings are designed to help maintain a moist wound environment on non to moderately exuding wounds. NU-DERM® Hydrocolloid Dressings help maintain a moist wound healing environment encouraging autolytic debridement, thus enabling granulation to proceed under optimum conditions. NU-DERM™ Thin Hydrocolloid Dressing is primarily indicated for the management of superficial dry to lightly exuding wounds, postoperative wounds, and superficial wounds and abrasions; however it is also useful on small wounds towards the end of the healing phase. Dermal ulcers involving muscle, tendon and exposed bone. Consult a physician prior to using NU-DERM™ Hydrocolloid Wound Dressing on lesions caused by tuberculosis, syphilis or deep fungal infections, cancer and wounds at high risk of infection. 1. Prepare the wound according to the appropriate wound management protocol. Choose the size and shape of dressing which is most suitable. The dressing should extend 2cm to 2.5cm beyond the wound margin. With one hand, grasp the white release paper at end and partially peel back. With the other hand, grasp the clear film with arrows. Apply the exposed part of the dressing, centering it over the wound bed and press in place. Remove the paper release liner completely and secure the adhesive to skin. Remove the clear film release liner from the other side of the dressing and secure the adhesive to skin. Ensure all edges are smooth and firmly secured. Difficult to dress wounds, like the heel/elbow and sacral areas need special attention. Use the dressings specifically designed for those locations. Remove both parts of the protective liner system. Place the dressing on the heel or elbow, leaving the pre-cut “flaps” detached. Affix the side flaps to wrap the heel or elbow. depending on the location of the wound. Remove the white release liner from the back of the dressing. Grasp the two clear release films with arrows at each edge of the dressing. Place exposed adhesive portion by first placing the “hinge” into the area between the buttocks. Remove the clear release films and secure the two edges to the skin. Change the dressing after a maximum of 7 days or when full absorbency has been reached. In case of leakage the dressing should be changed immediately. It is essential for proper wound management to avoid trauma to the intact skin. Press down gently on the skin and carefully lift the dressing starting at one edge. Pull towards the centre of the wound until the dressing is removed. Irrigate/clean the wound if necessary. Is a secondary dressing required? Do not re-use. Do not use if package is damaged. Do not re-sterilise. Store below 25°C. KCI Clinical Evidence is a resource for healthcare professionals to explore preclinical, clinical, and review articles discussing the use of KCI and Systagenix products. Use our powerful search tool to customize your view of the Acelity product evidence.